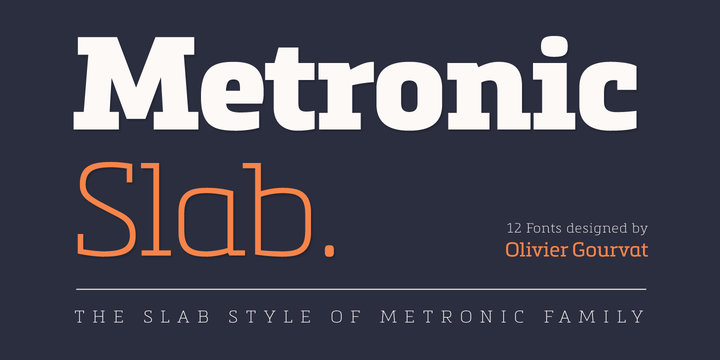 Metronic Slab Pro is a slab serif typeface created by Olivier Gourvat and published by Mostardesign. Metronic Slab Pro family contains six weights from Air to Black, fractions, arrows, icons/ornaments and a lot of other useful things. It is recommanded for display, headline, editorial projects etc. A font description published on Monday, September 23rd, 2013 in Fonts, Mostardesign, Olivier Gourvat by Alexandra that has 6,851 views.